OneSearch Direct, the largest local search data company in the UK, has today released a brand new website to spearhead the launch of several exciting changes within the company. What started out as a concept for a user-friendly ordering platform led to many months of development, collaboration, and innovation. The end result, following consultation with many solicitors, explores how OneSearch solutions could have a genuine impact on workflow. An intelligent ordering platform with valuable tools to customise solicitor preferences, and enhanced Search Adviser compliance to support due diligence. A fresh product range, including OneSearch Express: a brand new product designed to help solicitors drive more business and get faster search results. This is especially useful for lucrative and rapidly expanding market segments, such as Auction, Buy to Let, New Build, and Remortgaging. 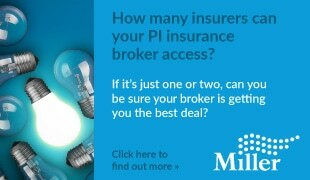 £10m PI Insurance, which also covers against errors made by the council, and water companies. This level of cover is unbeaten in the industry. 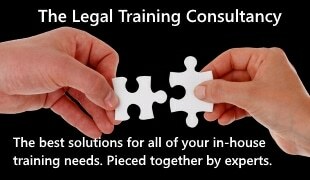 A Conveyancer’s Toolkit to give solicitors a clearer insight into their client’s potential risks. This includes an editable Quote Tool for increasing conversions, which is completely free to use. An exclusive insurance policy to protect homebuyers, which will not only secure the solicitor’s fees, but will put them at a marketing advantage. A series of CPD resources, designed to empower the solicitor in making confident decisions throughout the conveyancing process. “Following enhanced backing by Souter Investments, we set upon developing an intelligent ordering platform, and creating a groundbreaking new product to make the best use of our unique datasets. “These are the first steps in our plan to firmly re-establish our place within the market, and provide firms with exclusive new search products. Invigorated, we decided early on that we weren’t interested in a quick refresh. “It was going to take a lot of exploration and engagement, not only from each and every department within OneSearch Direct, but from reaching out to our customers to find out what they want, with a real desire to create worthwhile solutions. We had the skills and resources ready to tailor to their needs, and it was imperative that we got it right. What thrills me most about this new chapter is that each of the new initiatives indicates massive leaps in efficiency in their own right. To have them all combined, ready to launch on the same day, has been a real bonus. We’ve had a fantastic year so far, breaking records regularly for our flagship products, such as our Drainage & Water search. We’ve also seen the highly successful launch of the Landmark SiteSolution Highways report, which utilises OneSearch Data. As we steam through Q4 of 2015, we couldn’t be more delighted with the direction we are heading, and even with the direction conveyancing is heading in general. We embrace a positive shift in the industry and are thrilled that we get to evolve with it. “For the website, we wanted to start from scratch with an original and exciting design, but also carry over our knowledge and expertise. What we have now is a massively enhanced, fine-tuned offering. “When we brainstormed ideas for the new order platform, we researched thoroughly the workflow that would give our clients the best user experience, with the least effort required on their part. It was this kind of design thinking that led the team to create our brand new product, OneSearch Express. “This is a search that can usually be returned within 24 hours, and has increasing relevance in today’s market, as our new website explains in more detail. “We’ve been working tirelessly to get this right, getting it honed to the high standard we set out, and we know it will show in the finished product. For more information on these initiatives, please visit www.onesearchdirect.co.uk, or email info@onesearchdirect. If you would like to discuss how your firm can benefit from these intelligent solutions, call OneSearch Direct on 0800 052 0117.